In loving memory of my heart doctor and animal planet superstar Nadia Litiana Farapo, 1997 - 2016. "My little heart doctor Nadia, your great never-ending love of animals has rubbed off on your niece and nephew. Gone to rest but will never be forgotten. Love you and miss you my doctor, your one and only heart 💔 patient." 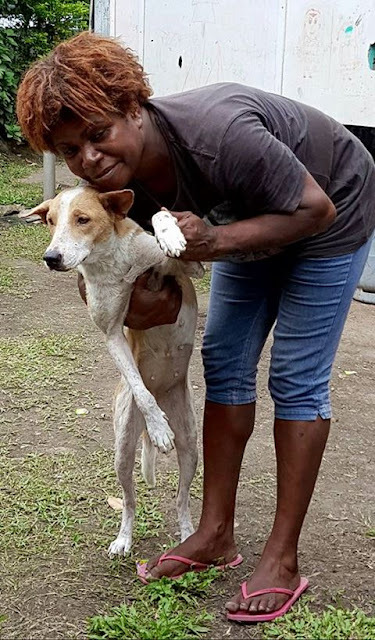 This is Mavis and her owner, my niece Joyce Lavai Bulunasoi Aisi better known to all in our family as Professor Koicy of the University of Maria street. 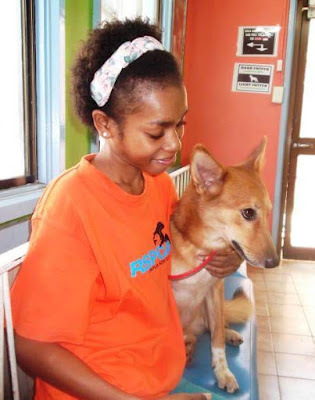 This is the story of how her dog was saved by her little sister and Pink Little Clinic animal doctor Nadia Farapo. 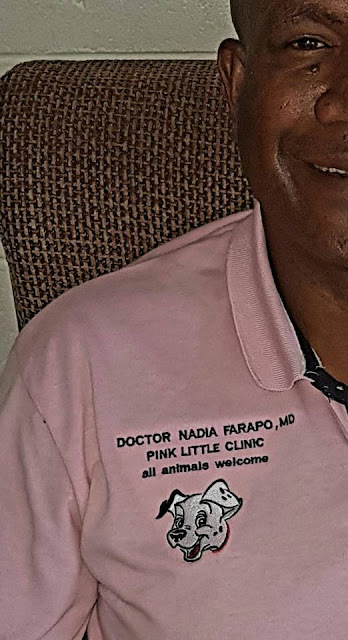 One day the prof's puppy was not feeling well so she took it up to the Pink Little Clinic. After checking the puppy to establish the cause for its distress, Nadia found the puppy had an ingrown toenail that was causing discomfort. The toenail was clipped and the puppy was given a cold bath to lower her temperature. The dog was wrapped in a wet towel and placed under a fan on top of a table in the family home to chase away the doggy fever. When Nadia's parents came home, her mum was shocked to see a puppy lying on Nadia's study table. Recalls my sister and Nadia's mother Betty: "I asked what is this dog doing sleeping on top of the table?" Nadia responded: "It's sick and has a high fever." Mum: "What if it gets up and tries to walk and falls off the table?" Nadia: "mum it has a sore foot and a high fever so it will only get up once it starts feeling better." And so that was how my niece and heart doctor Nadia Litiana Farapo saved the life of puppy Mavis. Today is exactly 1 month since Nadia left us. But Nadia's legacy lives on in all the animals. Nadia had a great love for animals, was a volunteer at RSPCA in Port Moresby, and launched the PAWS🐾 Walk alongside Governor General Sir Paulias Matane. At age 17 she was the youngest awardee of the Rotary Youth Leadership Awards. She was to have graduated from Pom Nats last month but sadly this was not the case. Her dream was to become a vet. I hope her attitude and commitment to helping animals will inspire you and your children to also love and be good to your pets.